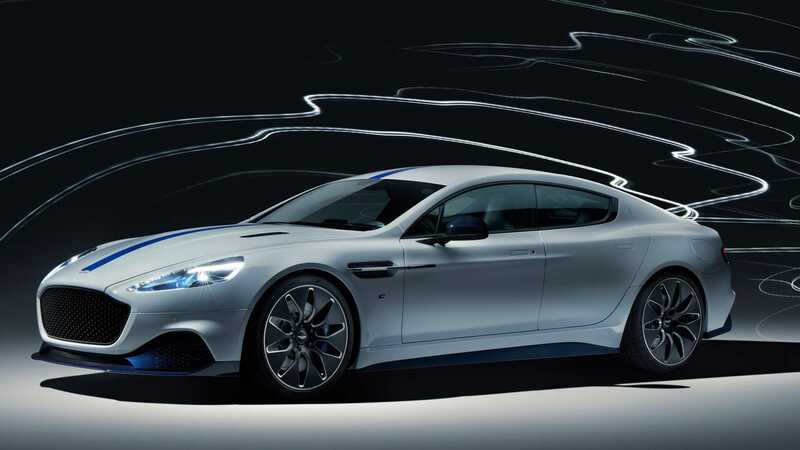 Aston Martin has come to the 2019 Auto Shanghai show with the final production copy of its Rapide E liftback. The company plans to limit the production amount to just 155 units. It took several years for Aston Martin and the British engineer team from Williams Advanced Engineering to design and produce the car. As a result, it received a pair of electric engines jointly capable of delivering up to 610 horsepower (455 kilowatts) along with 950 Newton-meters (701 pound-feet) to the rear axle. The drivetrain also incorporates a traction battery with a carbon/Kevlar housing and an 800V electrical system. The car offers 320 km (200 miles) of WLTP range once fully charged and can replenish up to 80% of its battery within 60 minutes using a conventional charging station. It sprints 0-100 km/h (0-62 mph) in four seconds flat and tops out at 250 km/h (155 mph). The liftback features a limited-slip rear differential, multi-mode adaptive suspension, an aerodynamic body kit, and aluminum wheels wrapped in Pirelli P Zero tires.